I am a strong believer that outdoor play is important for a child. It’s no secret that today’s children are spending increasing amounts of time inside playing, emerged into the world of computers and television. Gone are the days of make believe in the garden, when a leaf could be a tea cup or a plate to serve mud pies onto or making a den using a tree. 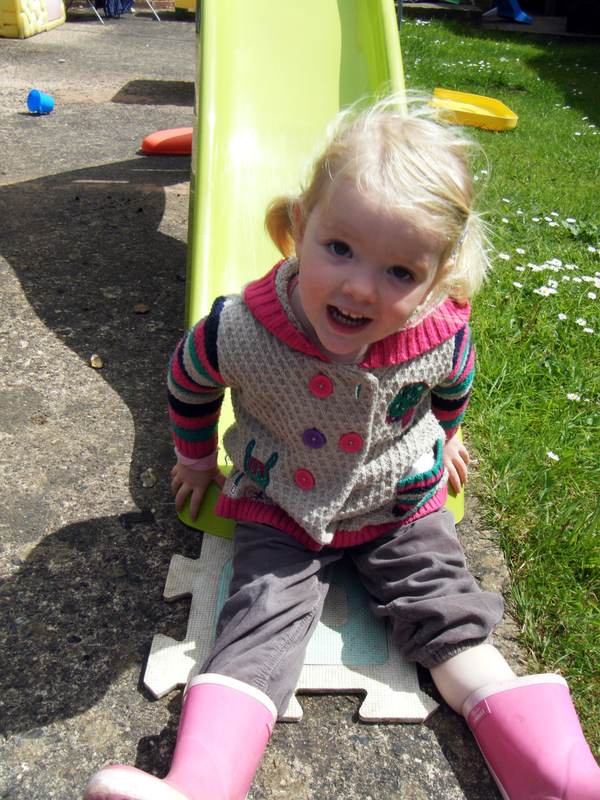 Emily loves playing outside, I know she is only young but I intend to encourage outdoor play as she gets older, keeping her active and in the fresh air makes her happier as a person and also gives her an appetite and best of all it helps her have a good nights sleep. As the weather was nice today Emily asked to play outside, I love it when she plays outside and she isn’t running around the house getting under my feet. She always asks for her wellies on in the garden, she knows that she can only stand in the mud is she is wearing them. Sometimes I look at our garden and it reminds me of a playground, there are plenty of things to entertain her. 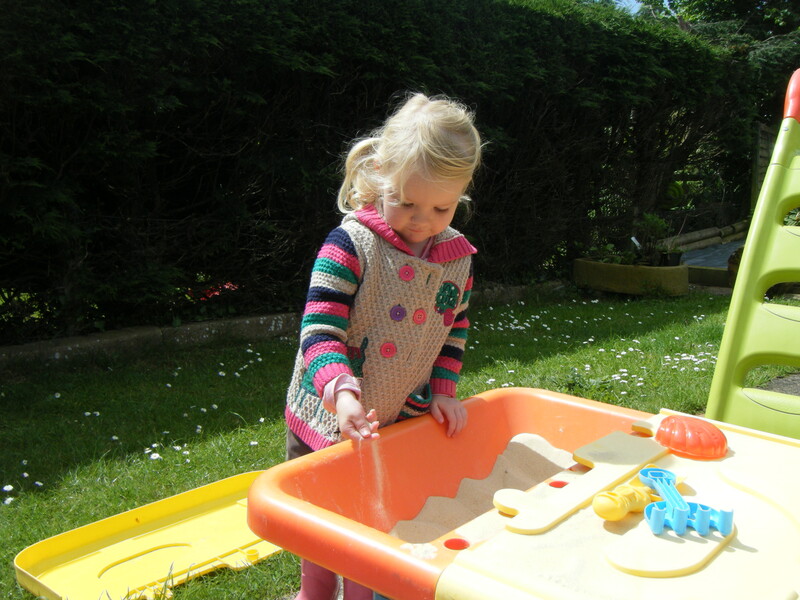 At the moment her favourite activity is using her sand and water table. She loves digging and making sandcastles and when she used the water she enjoys pouring things into other items. Another of her firm favourites is her slide, she always tries to get me to go in it too! What I really love about seeing Emily play in the garden is how happy she is and also how she tries to learn new skills. I purchased a hoola hoop last summer to play a game of throwing bean bags into the hoop from a distance, a game she loved playing. 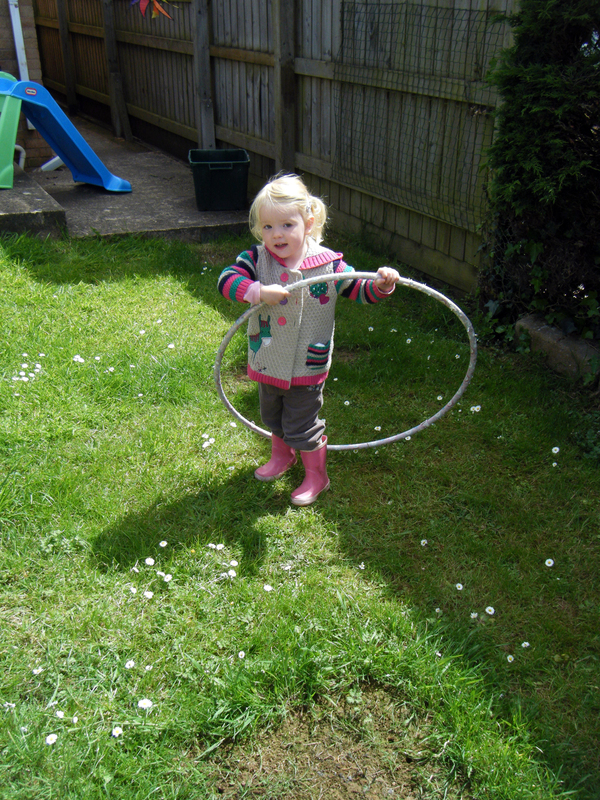 Now however she is now attempting to learn to hoola hoop. I should probably buy her a smaller one. 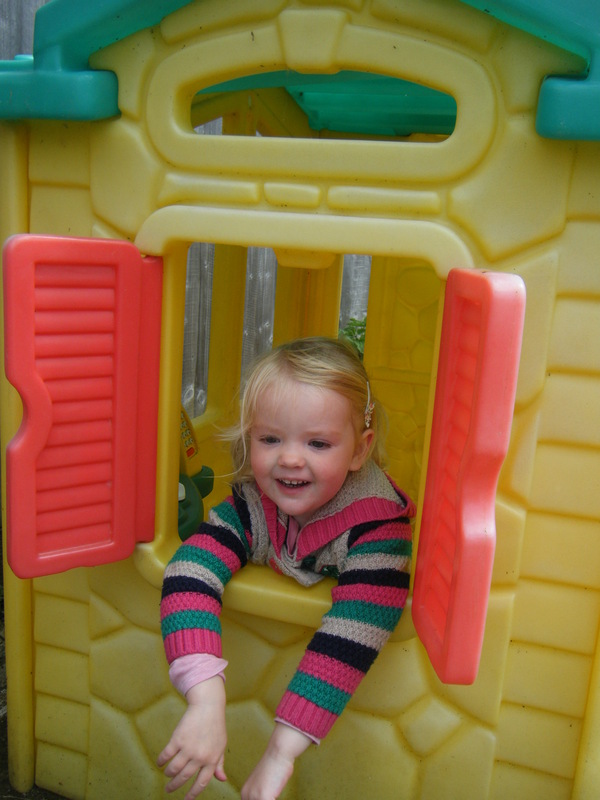 E also has her own little play house where she likes to pretend to cook and clean, this summer I intend to teach her about making dens in the garden. 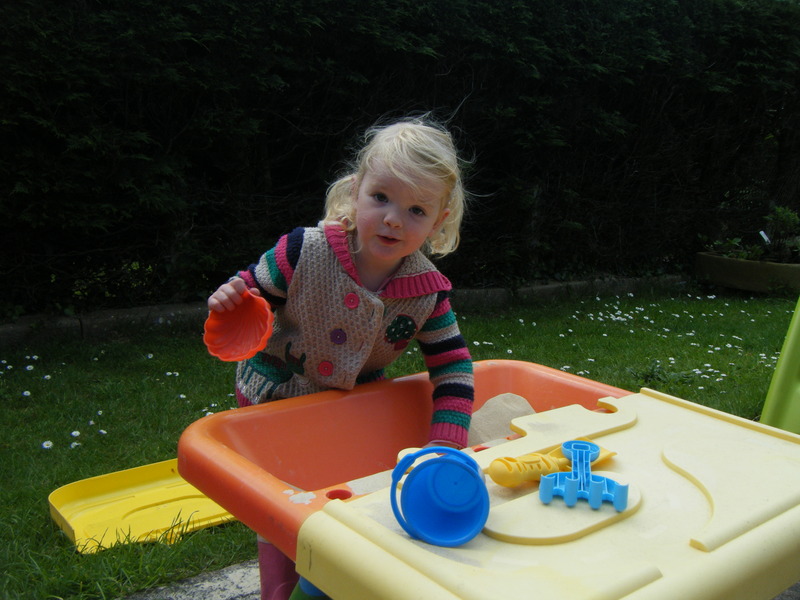 Despite all the wonderful things E has provided for her to play with, her favourite activity is collecting stones in her bucket or using flowers to make fairy soup – putting flower petals into a pan of water, I love how she uses her imagination when she does this. E also loves helping Daddy with the gardening, we have given her a little garden space where I intend to plant some flowers with her, but currently she enjoys helping daddy and asks daddy to find her wriggly worms! She then takes the worms and puts them in her garden, she also does the same with snails! Playing outside sparks her imagination which fuels her full of energy. I attempt to get E outside every day when the weather is nice, after all there is only so much Peppa Pig on the television I can handle!